That looks and sounds delicious! I think I might make some for dinner tonight. 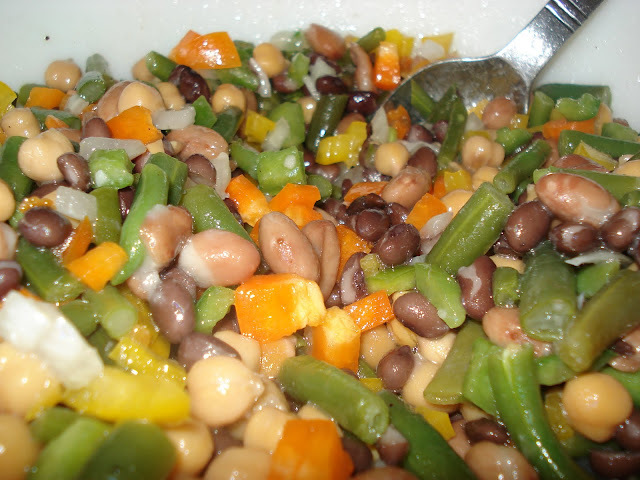 I love bean salads, this recipe reminds me of the one that my MIL made. I just came to MGCC this week to see if you had a basic bean salad reipe and couldn't find one! Today you post one - too funny! It is similar to the one I used but will have to try this. I make the texas caviar from this site and it is sooo yummy!! I always get asked for that recipe when I bring it somewhere. I do add a clove of garlic and use a bit less oil and add fresh lime juice instead. Thanks to you all for the great recipes! 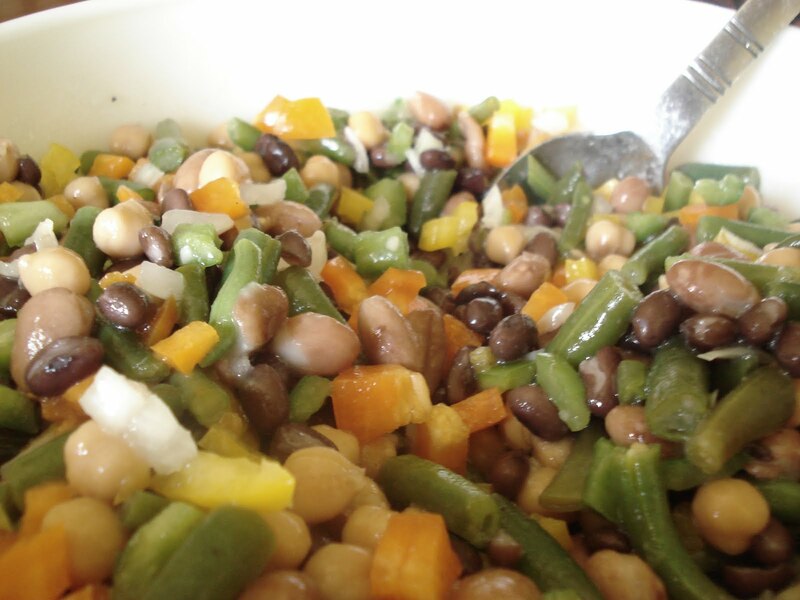 We ALWAYS had 3 bean salad at summer potlucks or cookouts growing up, and it's still one of my favorites! We use red kidney beans, green beans, and garbanzo beans. We also use red onion, but no bell pepper, and garlic and no thyme. A bit different taste but it's still my favorite cookout side dish. And the longer it sits the better it gets! Just finished making this bean salad...looks great & already tastes good! It's for a picnic on Monday, so I will have to try hard to stay out of it! Thank you for the recipe! A friend brought this to a pot luck supper. It was delicious and I normally don't like many of the ingredients, as you can see I'm here for the recipe.